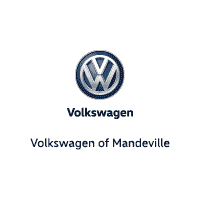 If you’re looking for a new Volkswagen in the Slidell area, Volkswagen of Mandeville has you covered! Our extensive inventory includes everything from the popular Passat to the awe-inspiring Atlas, offering something for everyone in Hammond and beyond! Visit Volkswagen of Mandeville to explore the Volkswagen models for sale, and get ready to turn heads in your Baton Rouge neighborhood! Why Choose a New Volkswagen from Volkswagen of Mandeville? We are standing by to get you behind the wheel of the model that best suits your budget and driving needs. Contact us today to get the process started; we can’t wait to work with you!